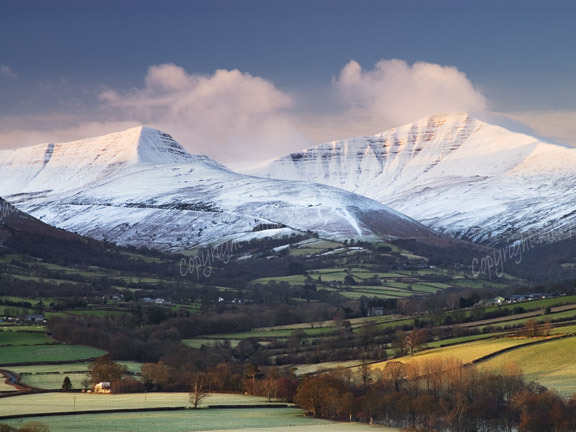 Philip Veale Photography: Snow covered peaks of the Beacons. Snow covered peaks of the Beacons. Early winter sunlight on the snow covered peaks of Pen y Fan and Cribyn, the highest mountains in the Brecon Beacons National Park.